Dynasia is the epitome of kindness and compassion. She is a student who is eager to help others. She understands the importance of including all students and being a friend to everyone. Dynasia sets goals and consistently works to achieve them, even when facing unexpected challenges. Dynasia exudes a positive energy and a joyful attitude that are authentic and refreshing. She enthusiastically shares her time and talents to benefit RLHS and the Racine community. Racine Lutheran High School will be on Spring Break from March 16 through 24. Classes resume on March 25. Enjoy the break! The latest Weekly News is attached for your convenience. 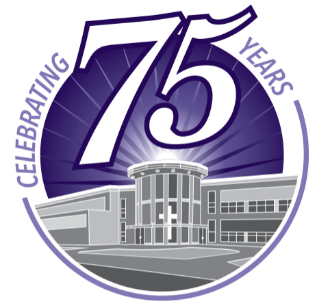 Weekly News – March 11, 2019 – PDF Please contact the school with any concerns. We hope to see many of you at today’s Parent-Teacher Conferences. Teachers are available from 5 until 7 p.m.
Friday was fabulous – thanks to Dr. Fischer! Our musicians had the extreme pleasure of working with Concordia University Chicago’s Distinguished Professor of Music Richard Fischer, DMA. Dr. Fischer is in demand internationally as a guest conductor, clinician and adjudicator, so we were honored to have him teach our students. Working with Mr. Gullicksrud, he encouraged our students to recognize that music is about so much more than the performance. 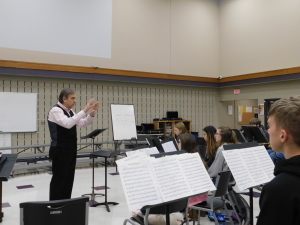 Thank you, Dr. Fischer, for sharing your vast knowledge plus your passion for music! Congratulations to our Cheer Squad! Congratulations to the RLHS cheerleaders! The team competed at the State Cheer Championship in LaCrosse this past weekend. The team competed against 14 teams in the Small Coed and Cheer dance divisions. The squad placed 5th in semi-finals for Small Coed competition and 6th in the final competition. The latest Weekly News is attached. Weekly News – March 4, 2019 – PDF Please contact the school with any concerns. The Spring Sports Parents Meeting is TONIGHT at 7 p.m.
Parent-Teacher Conferences are next Monday, March 11, from 5 until 7 p.m. The latest Weekly News is attached for your convenience. Weekly News – February 25, 2019 – PDF Please contact the school with any concerns. 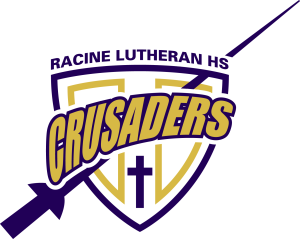 In case you haven’t viewed it yet, here is the link to the RLHS Grand Gala video that was created by seniors Petr Jaros and Payton Gygax. Enjoy! The latest Weekly News is attached for your convenience. Weekly News – February 18, 2019 – PDF Contact the school with any concerns. Please submit all re-enrollment paperwork by Wednesday. It’s an exciting stretch for our athletic teams! It’s also time to get ready for spring sports. Go Crusaders!